Although Marvel Studios won’t announce its lineup for 2020 until after Avengers: Endgame, it’s looking more and more like The Eternals will hit next year. Last month, Angelina Jolie entered negotiations to headline the film. 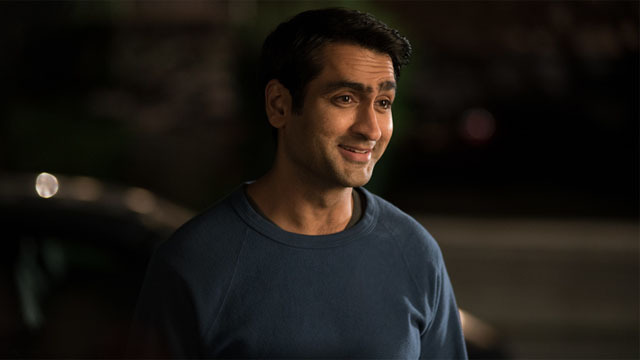 Now, Kumail Nanjiani may be the next actor to join the project. Via The Hollywood Reporter, Nanjiani is in talks with Marvel to play an undisclosed role in the film. Additionally, THR appears to confirm that Jolie will portray Sersi, the female lead in the film. Nanjiani is a comedian and an actor who is best known for his role as Dinesh Chugtai on HBO’s Silicon Valley. He also co-hosted the comedy series, The Meltdown with Jonah and Kumail. He and his wife, Emily V. Gordon, were nominated for Oscar for co-writing The Big Sick. Nanjiani also guest starred on The X-Files, and lent his voice to Adventure Time and the upcoming Men in Black: International. Jack Kirby wrote, illustrated, and created the original Eternals comics in the ’70s for Marvel. As envisioned by Kirby, the Eternals and their rivals, the Deviants, were offshoots of humanity created by the Celestials. The nearly immortal Eternals live apart from the rest of the world. However, Sersei is a notable exception who embraces the modern era. She even became an Avenger during the ’90s. It’s unclear which role Marvel has in mind for Nanjiani, since The Eternals features such a large supporting cast. Chloe Zhao is directing The Eternals from a script by Matthew and Ryan Firpo. Are you excited to see Nanjiani in The Eternals? Who should he play? Let us know in the comment section below!